The event will take place at Pioneer Courthouse Square between 9 a.m. and 2 p.m. on Saturday. Oregon Health & Science University students are holding a one-day free clinic for local residents who need basic medical, dental or vision exams. The Free Health Care Fair will take place at Pioneer Courthouse Square, 701 S.W. Sixth Ave., Portland, on Saturday from 9 a.m. to 2 p.m. More than 50 students from OHSU’s schools of medicine, nursing and dentistry will take part in the clinic, which is expected to serve about 200 residents who have no insurance or who are underinsured. The event will also include volunteers from Pacific University’s College of Optometry, the OHSU/Oregon State University College of Pharmacy and the OSU College of Veterinary Medicine. Those who need treatment will be scheduled for follow-up medical appointments. The volunteers will also provide resources for addiction and mental health treatment, housing and other needs. This is the 11th annual clinic hosted by OHSU students and part of a year-long effort by the student body to raise awareness about the inequities in the U.S. health-care system. 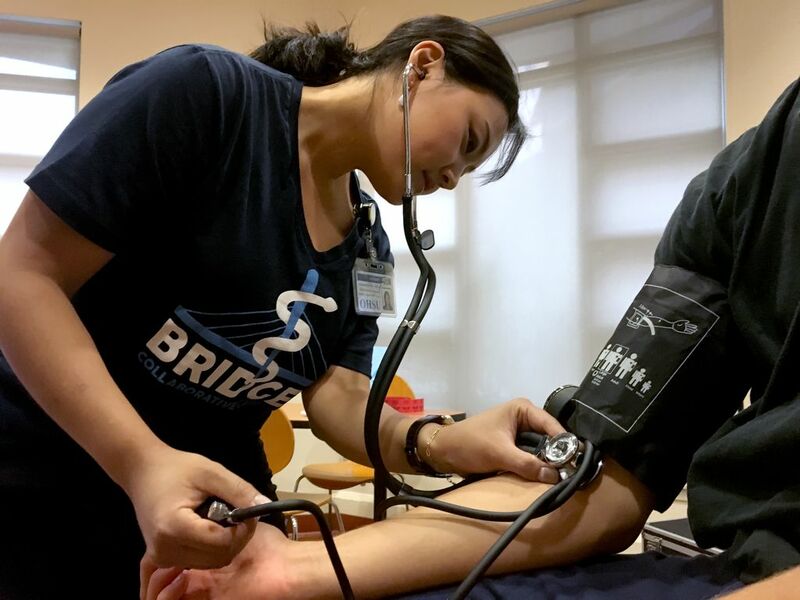 Students are also helping local homeless folks with their health care needs through the Bridges Collaborative Care Clinic, which has served nearly 80 people since opening a year ago. Students focused on providing basic medical care, including helping clients with infections, high blood pressure and diabetes. They’ve also expanded that effort to dental care. Also on Saturday, students are holding their first fundraiser for the clinic between 6 and 9 p.m. at OHSU's Robertson Life Sciences Building, 3030 S.W. Moody Ave., Portland.